When I published my first book in 2010 my business changed completely. But that wasn’t the only of many reason to publish a book that came soon after my book was available. My confidence was renewed and I was perceived in a different way. The publishing industry is in upheaval thanks to the self-publishing boom. That’s great news for bloggers who want to write a book! 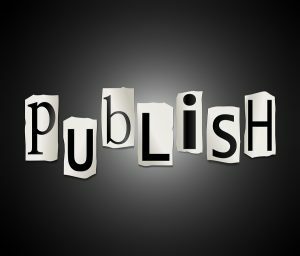 Even just 5 or 10 years ago, self-publishing was still looked upon as “vanity” publishing; the last resort of a talentless writer sick of rejection letters. For a long time, authors couldn’t be taken seriously if they didn’t have the backing of a big publishing company. Successful self-published authors like Amanda Hocking changed the industry forever. Amanda Hocking famously earned millions of dollars from her paranormal romance novels before being approached by the publisher St. Martin’s Press. John Locke was the first self-published author to sell over 1 million e-books on Amazon. 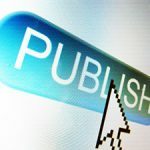 And now, even established professional authors have begun to experiment with a mix of traditional and self-publishing, such as famous New York Times bestselling author Kristine Kathryn Rusch, who blogs about the industry at KrisWrites.com. 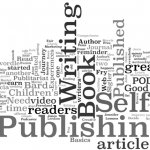 Today, self-publishing is respected, even admired and applauded. By authoring and self-publishing a book on your niche topic, you can position yourself to be recognized as an expert on that topic. When you’re a top author in your niche, that’s a huge differentiator so you can stand out from other bloggers. This is not only a nice ego-boost, but it’ll also help you to grow your blog’s audience and power your other monetization efforts, such as if you sell products or services from your blog. Being seen as the expert in your niche can enable you to set higher prices for those product and services, and be more in demand. KeriLynn makes some excellent points here and encourages us to self-publish a book. 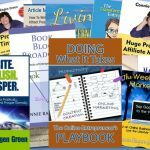 In her post she also shares how we can grow our list, generate passive income, and publicize our blogs by becoming a published author. I have done this more than a dozen times now, and my Hunter’s Moon Publishing company has helped many entrepreneurs to get their message out to the world in the form of a book. My Write.Publish.Prosper. training course takes you step by step through the process of outlining and writing your book, and I will also provide you wish an ISBN number from my publishing house when you are ready to publish. What other questions do you have on this topic?